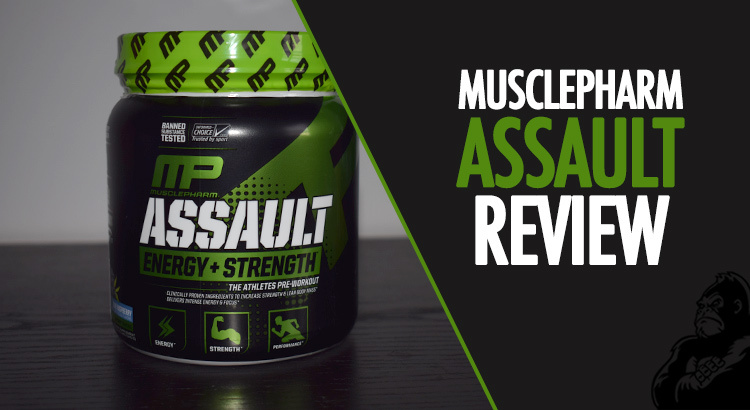 Check out our MusclePharm Assault pre workout review to find out honest thoughts. Our review is made up on feedback from three different Tubby Gorilla testers, including myself. We all used the Assault for our individual workouts, some for longer than others, and gave our honest feedback about the different aspects of the supplement including effectiveness, energy and focus boost, taste, side effects and a few other things. We’re independent testers, so this review is unbiased and honest. 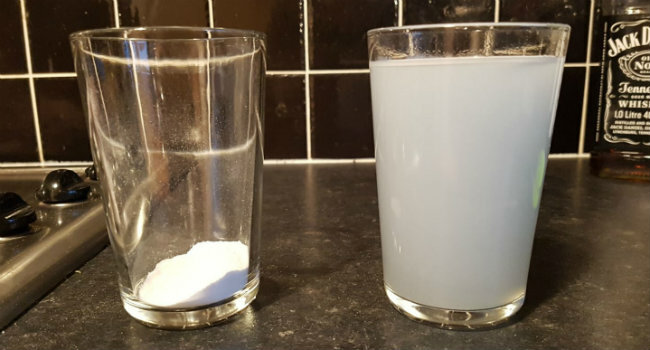 One thing I will say before we start… if you’re tired of horrible tasting supplements and are looking for the best tasting pre-workout powder, this could well be the one for you. The MusclePharm isn’t all taste and no impact. For sure, I definitely felt an energy boost. I was engaged and focussed like never before. I knew the pre-workout was ready when I felt a very slight tingle in my hands. This supplement helped me in finishing a long workout, I managed to push another 30 minutes out with this pre-workout. I was so motivated in my workout that I pushed to new personal bests. I also managed to prolong my reps. This pre-workout just made me feel ready to achieve my goals, there was no stopping me. I really liked MusclePharm, it did a lot for my workout and kept me engaged and willing to try new things. “I’d give MusclePharm Assault an overall 9/10. It really helped me in my workout and exceeded my expectations.” – Jasmin, female reviewer, 5’2″, 125lbs. The ingredients are really well balanced, by that I mean there isn’t a high amount of caffeine and not much creatine, but good amounts of caffeine, beta-alanine and creatine. Check the latest price of Musclepharm Assault on Amazon here. All three of us commented on how much our energy levels were raised after taking the MusclePharm pre workout in different ways. 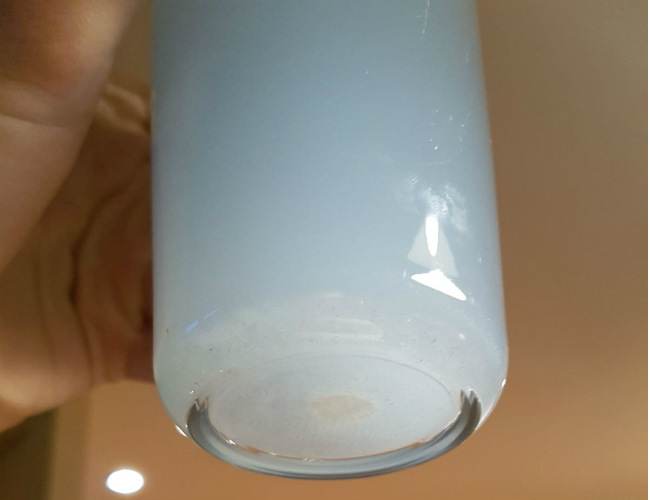 Two of us felt a real noticeable energy boost, whereas our third tester noticed his output and energy levels were at a higher level than usual throughout the workout rather than feeling a kick or boost. “I really wasn’t motivated for my workout today, but this pre-workout helped me to complete a long and effective workout. Once the pre-workout kicked in I was focussed and much more motivated to have a good workout” – Luke, male reviewer, 5’11”, 164lbs. Mental focus matched the physical energy levels too. Once again we all agreed that with the extra energy came extra motivation and our workouts were all at higher level than usual. There’s a reason why this supplement has been available for so many years and is still a top performing and top selling pre-workout. MusclePharm has made an incredibly delicious flavoured pre workout here. And I don’t mean it’s nice for a pre-workout, I mean it’s delicious, full stop. If I could drink the Assault as a regular beverage, I would. But you can’t do that. It would be really bad for you. Don’t drink more than one serving per day (this is the same for most pre workouts). Taste is always a bonus when it comes to pre-workouts, and this one definitely gained a bonus point. “This tasted the nicest of all the pre-workouts I have tried, it surprised me a little based on visual appearance”​ – Luke, male reviewer, 5’11”, 164lbs. It was easy to mix, just took a few stirs and it became a smooth consistency with very little residue at the bottom. The residue did not have any effect on the taste or smoothness, which is always good. I felt a little tingle in my hands, it wasn’t anything major and did not affect my workout. To be honest, I quite like that tingle. The tingle is nothing dangerous, it is a known temporary side effect from beta-alanine. None of us experienced a crash or shakes though, I felt quite good after this. I personally think MusclePharm is a really good supplement. It did a lot for me and helped with my strength, endurance and power. But, that’s all I want from a supplement. As you can see, it also had positive effects on the other two reviewers. They both felt an energy boost and became motivated. MusclePharm ticked all the right boxes for me, and the fact it tastes nice just makes me love it more. The only thing it lacks for us, is that strong pump that you get with some of the other pre-workouts.